The Federation of International Dance Festivals was founded on October 5, 2012 to establish a system of cooperation of dance festivals around the world, seek ways for mutual development, and build a global network of dance festivals through exchanges among the famous dance festivals around the world. 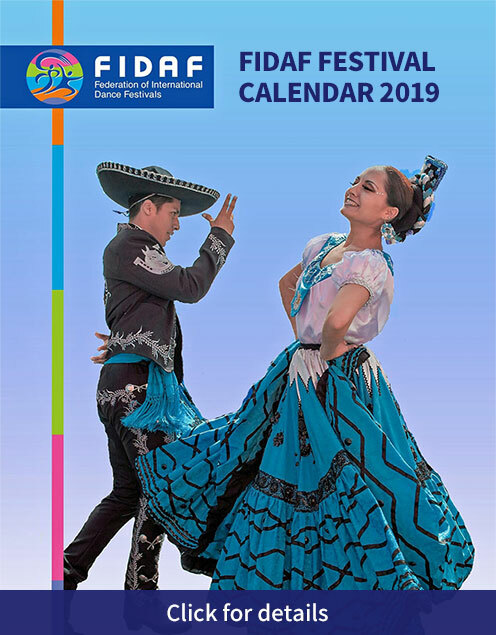 FIDAF is a non-profit organization formed by representatives of dance festivals across five continents with the aim of promoting and advancing their dance festivals. – Regular members are to be the headquarters of each country. – Individual members are to be the ones who hold dance festivals(both modern and traditional dance included) in each country and be the director dance performance group or dance expert who work in each country. – Advisors are to be the former presidents and the ones who has contributed to the development of the FIDAF. ② Regular members shall be recommended by local committee, decided by executive committee and approved by the president of the FIDAF. ③ Individual members are approved by the president of the FIDAF after being discussed by headquarters of each country and local committee and being decided by executive committee. ④ In regards with advisors, formal presidents are to be the official member of advisor and those who contribute to the development of the FIDAF are recommended by the president of local committee, decided by executive committee and appointed by the president of the FIDAF. The advisor’s term is four years. 1. The figure of this symbol represents the earth.